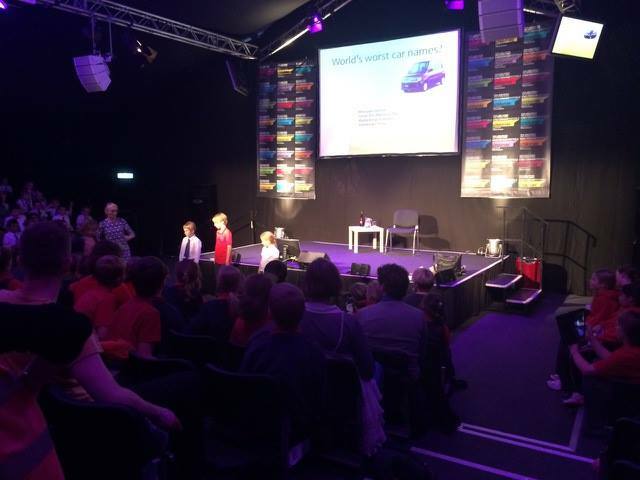 Our visit to the Cheltenham Literature festival! 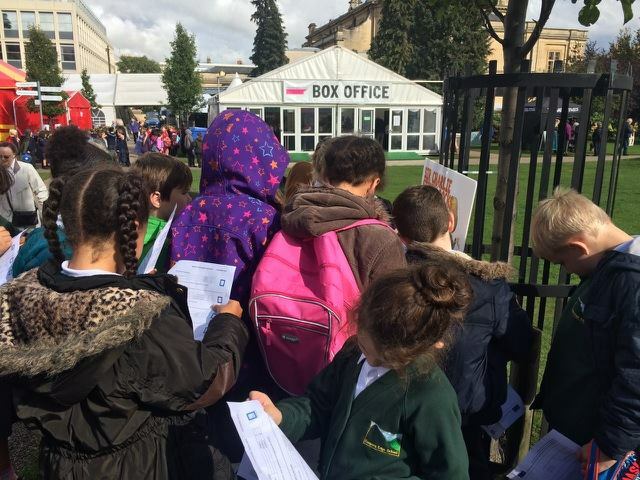 On Tuesday 6th the Puffins, Woodpeckers and Jays visited the Cheltenham Literacy festival. We had a brilliant time…read below to find out what we did! On Tuesday we went to the festival with the Woodpecker,Jays and Puffins.First we ate lunch and i was excited,happy and felt joyful. It was brilliant in Cheltenham so we to went the Libary so we back to school. it was fun and brilliant and amazing festival. (Summer) I in enjoyied whating the show that Helen Moss did. (Vicky)I really liked when we had to smoshing idias. first we eat at a circus tent . Next we went on a really weird quest to find lettters an solve a problem. After that we went to see HELEN MOSS!!!! she writes adventure books.After we went to buy books so Helen Moss can sighn them.Finally we went on the choach and we were happy at the end of the trip. we learnt how to write advanture books. On Tuseday we were going to the Cheltenham litercher festival.When we got there we eat in a big circus tent we sore lots of diffrent schools.After we went to see helen moss in a sort of cinma place. At the festival it was a brilliant time.It was extremely exciting on the way there.We eat lunch 20 minuets after we arrived. We saw Helen Moss before we all came back to school.All of us got asked questions about a few other authors. On Tuesday we had an exciting day…because we went on a visit to Cheltenham to see Helen Moss.